Mellow Out on the Beautiful Bruce Peninsula! Our secluded B&B offers you peace and quiteness while surrounded by nature in our Cedar Forest. 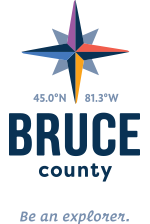 Centrally located on the Bruce we are 20 minutes north of Wiarton and 50 minutes south of Tobermory. We are open all year and are close to Sandy beach, water, hiking, biking and snowmobile trails. We offer spacious individually decorated, spotless rooms, each with their own private 4 piece ensuite. All our beds have high quality mattresses, with luxurious sheets providing excellent comfort so you're sure to sleep soundly. Each of our rooms offer two fluffy bathrobes, hairdryer, toiletries, and luxurious soft towels and free Wi-Fi to enhance your stay with us. Maureen's love of cooking is evident in the freshly prepared delicious full breakfasts that are designed to fit your taste & needs. We cater to special diets such as Gluten &/or Lactose free, with advance notice. She uses locally grown foods wherever possible, farm fresh eggs, and homegrown herbs. Her homemade jams and sauces are a special treat. If lounging is more your style, be sure to check out one of our hammocks and spend some time unwinding and relaxing in pure bliss. We know your stay with us will be a memorable experience.